Gladstone is only 1.5 hours drive north from Agnes Water and 1770, and offers a great variety of events – regular and annual – that you can incorporate into your Agnes Water / 1770 stay. Parkrun is a free, weekly, timed five kilometre run or walk. If you would like to get your time for the event, you must register before the event on the Parkrun website. You only have to register the once. Parkrun is for everyone and participating is easy. Parkrun is not a race against other runners, but a five kilometre timed run – it dosen’t matter if it’s for fun or as part of a training plan. It offers an opportunity for the local community to come together on a regular basis, get physically active and enjoy the beautiful surrounds . Please come to jog or run together irrespective of your ability – this event is truly open to all and best of all it really is free! Children and dogs are welcome, however their participation must be supervised at all times. Crow Street Creative is the location for several arts groups offering services and events for all ages to the local Gladstone and Regional communities. 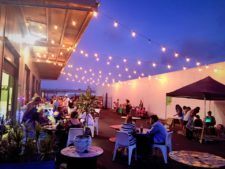 Crow Street Creative presents Crow Street Food & Music Fest which is an awesome night out and fun for all ages! Enjoy live music, food vans, kids area and open mic late session starts at 8:30pm. Vinyl lovers… This one’s for you! 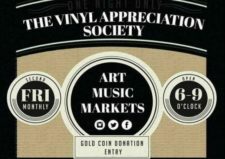 Monthly twilight art, music and markets at Crow Street Gladstone. Exhibitions, projections, workshops and demonstrations, local art and design stalls, delicious food, kids area and live entertainment! Open mic sign up from 5:30pm. 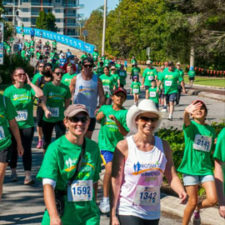 The Tannum Crab Classic is an annual event which raises much needed funds for local families in need of medical equipment. The weekend consists of multiple events – something for everyone! Starting with 50 blokes camping down at Lillies Beach for a crabbing competition and to raise awareness about men’s mental health. Throughout the weekend, these men raise money amongst themselves while also competing against each other to catch the biggest mud crab. While the men are out catching crabs, the ladies now give their support with a girls night out fundraiser at the Tannum Sands Lifesaving Club on the Saturday night starting at 7:00pm. Sunday afternoon is held at Dennis Park from 12:00pm – 6:00pm and is for the local community to come together and open their wallets to buy raffle tickets and bid on a mud crab to ener the world famous crab race, with the race commencing at 4:30pm. 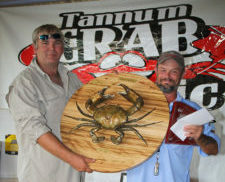 For more information, please visit the Tannum Crab Classic website. COST: Free (Rides cost $5-12 per ride) Car parking – Gold Coin to SES. Held from Wednesday 28th March – Sunday 1st April 2018, the 56th annual Gladstone Harbour Festival program will once again entice, excite and engage the Gladstone community and visitors to the region. 2018’s program will include a fantastic variety of quality entertainment on the GPC Marina Main Stage each night, fun rides for the kids, mardi gras, a great selection of tasty food court treats, Marina Markets, fabulous fireworks displays and plenty of novelty events and attractions. Visit the Gladstone Harbour Festival website here for more information. 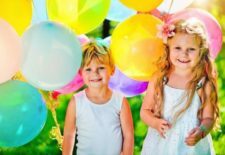 A jam-packed week of excitement for kids of all ages across the Gladstone Region! The 2018 Children’s Festival aims to unite art and education magically in an exciting week-long program with a mix of both free and paid for events. The Festival aligns with Under 8’s Week and National Simultaneous Story Time. Check out the website link for more updates closer to the event. The Botanic to Bridge is a fun run held in Gladstone, Queensland in August each year. Transforming the city into a vibrant hub for healthy, active living, the Botanic to Bridge is a must for both the serious runner and those looking to have some fun. All proceeds from the event goes back to the local community with primary and secondary schools and the major beneficiary receiving more than $20,000. If you would like be a part of this exciting event, please continue to check the website as we make regular updates, or follow us on Facebook and Instagram. 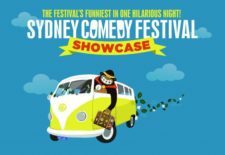 The Sydney Comedy Festival Showcase Tour will be tearing up the freeways of Australia for the sixth year in a row to bring the crème de la crème of the 2018 Festival to Gladstone!